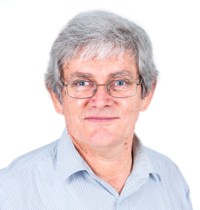 Peter is Professor of Nutrition Research at the University of Newcastle and Professor of Clinical Nutrition at the University of Southern Queensland. With extensive expertise is nutrient intervention trials, he aims to strengthen the evidence for health benefits of functional foods and nutraceuticals through strategic research partnerships. 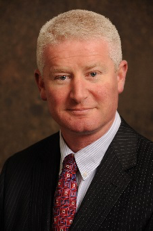 He has established several research centres with cross-institutional collaboration, extensive industry engagement and a focus on research translation (ARC Key Centre for Smart Foods, ATN Centre for Metabolic Fitness, Nutritional Physiology Research Centre, Clinical Nutrition Research Centre). 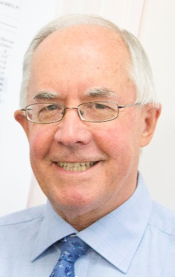 He is an adjunct professor at the Universities of South Australia and Adelaide, Chair of the Advisory Committee for Complementary Medicines, Therapeutic Goods Authority, Fellow of the Nutrition Society of Australia and the Founding and Emeritus Editor of Nutrients. Rachel is an NHMRC-ARC Dementia Research Fellow and joint leader of the clinical nutrition research group at the University of Newcastle. Graduating from the University of South Australia with 1st class honours in human movement in 2009 and a PhD in nutritional physiology in 2013, she joined Professor Peter Howe in Newcastle as a postdoctoral researcher and won her dementia fellowship in 2016. Rachel is an internationally certified clinical trials coordinator, a member of the NHMRC’s Dementia Institute, a fellow of the International Society of Hypertension and a committee member of the Newcastle group of the Nutrition Society of Australia. Her research focuses on the efficacy of bioactive nutrients including resveratrol, green oats and long-chain omega-3 on the human vasculature. Trained in transcranial Doppler ultrasonography, she applies this non-invasive technique to assess circulation in cerebral vessels and investigates the enhancement of cerebral perfusion on improving cognitive function. She is now expanding the concept of improved circulatory function following bioactive nutrient supplementation on joint health, mood, physical function and perception of wellbeing. 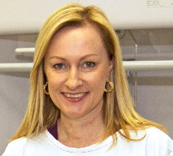 Lisa is Professor of Biomedical Science and leads the nutrition team, within the Priority Research Centre (PRC) for Healthy Lungs and the Grow Up Well PRC at the University of Newcastle. She is a nutritional biochemist and registered nutritionist (RNutr) whose research focuses on nutritional approaches to managing inflammation. Her research has demonstrated that dietary factors, including antioxidants, fatty acids, fibre and obesity, can modulate inflammation and disease pathology. 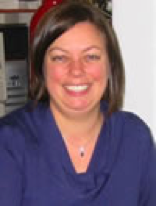 Lisa and her team have published extensively in the area (>130 peer reviewed manuscripts) and have contributed to the development of disease management guidelines, such as the Australian Asthma Handbook. She has received various awards, including the Nutrition Society of Australia Research Award. Lisa is President of the Nutrition Society of Australia, Associate Editor for Respirology and an Editorial Board member for Nutrients. Jon is Director of the Alliance for Research in Exercise, Nutrition and Activity (ARENA) at the University of South Australia. He is an authority on the effects of nutrition and exercise on cardiovascular, metabolic, mental and physical function in populations ranging from patients with chronic disease to elite athletes. His work has resulted in 11 patents for technologies which improve health and/or athletic performance. His work has also influenced nutrition policy in Australia and overseas, and resulted in changes in testing protocols for high performance athletes that have been adopted internationally. Jon is Editor in Chief of the journal Nutrients. Alison is a registered nutritionist (RNutr) and nutritional physiologist who is interested in how bioactive compounds from food can impact risk factors for obesity, cardiometabolic diseases and cognitive function. Her research ranges from individual nutrients in nutritional supplements to whole foods and dietary patterns including the timing of food consumption. Her work has been sponsored by industry partnerships, cooperative research centres and through government grants. Her contribution to the area of cardiometabolic health and nutrition has been recognized by a South Australian Tall Poppy Award and the Nutrition Society of Australia Mid-Career Research Award. Alison serves as President-Elect of the Nutrition Society of Australia, Associate Editor for Nutrition Journal and Editorial Board member for Nutrients. Karen leads the Mediterranean dietary patterns group at UniSA. She uses an evidence-based approach to explore the effect of whole diet and lifestyle patterns on chronic disease risk. Specifically her research investigates the impact of the Mediterranean dietary pattern on cardiovascular disease and metabolic syndrome as well as mental health and wellbeing and risk of dementia. 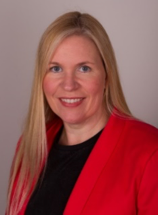 Karen is a recognized leader of research in nutrition, chronic disease and ageing, with expertise in clinical trials, assessments of dietary intake, body composition, cardiovascular health, cognitive performance and biochemical analyses. She collaborates with national and international researchers and the food industry. Karen is able to translate her research outcomes to clinical populations through her role as a private practice Accredited Practicing Dietitian. 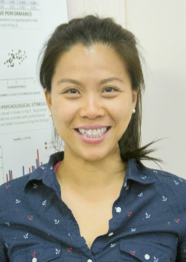 With over 50 articles and reports and >1500 citations, she is a recipient of 24 research and travel awards, including the prestigious South Australian Young Tall Poppy Science Award (2009). Andrew is Director of the Centre for Human Psychopharmacology at Swinburne University, Melbourne. 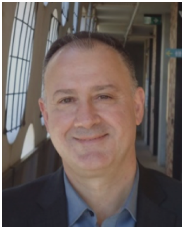 He is a leading international researcher into the neurocognitive effects of nutritional interventions, recreational drugs, supplements and food components. Andrew has published around 200 peer-reviewed journal articles and has attracted over $18 million in research funding. He was lead investigator in a series of studies into the human biobehavioural effects of nutritional interventions, focusing on potential neurocognition-enhancing and anti-stress/anxiolytic properties (including first-into-human neurocognitive assessment of Ginseng, Sage, curcumin and Lemon balm amongst others). His current research focuses on neuroimaging and biomarker techniques to better understand the mechanisms of cognitive enhancement. Andrew works closely with industry which allows rapid translation of research into evidence-based end-user health benefits. Andrew is a cognitive neuroscientist and Head of Neurocognitive Ageing Research at Swinburne University’s Centre for Human Psychopharmacology. His undergraduate training was in biophysics and instrumental science. His research covers the application of cognitive and neuroimaging methodologies in the study of neurocognition and brain ageing in both cognitively healthy and cognitively impaired individuals. He has been at the forefront of developing age-sensitive computerised cognitive assessments that have been used extensively to study both cognitive ageing as well as the effects of interventions for healthy brain function. Andrew is leading projects related to healthy brain ageing including nutritional, nutraceutical and lifestyle interventions. Lindsay is Professor of Biomedical Sciences and heads the Functional Foods Research Centre at the University of Southern Queensland. The Centre looks at the effectiveness of foods with anti-inflammatory effects to reverse organ damage due to chronic inflammatory diseases. Using well-characterised rat models of obesity, diabetes, hypertension, chronic kidney damage, inflammatory bowel disease and osteoarthritis, they examine the development of relevant cardiovascular, liver, kidney, metabolic and joint changes and the effects of intervention. Lindsay has shown that anthocyanins from purple carrots, purple maize or Queen Garnet plums, omega3 fatty acids from linseed and chia, flavonoids such as rutin and naringin, coffee and dietary fibre from tropical seaweeds are all effective in reversing the signs of metabolic syndrome. 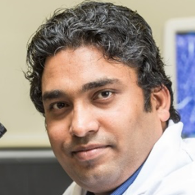 Dr Sunil Panchal is a Senior Research Fellow (Health and Wellbeing) within the Functional Foods Research Group at the University of Southern Queensland. Sunil’s research started with the development of a rat model of metabolic syndrome and then progressed to testing nutraceuticals in this model. He has since then developed expertise in defining functional foods and looking at whole foods in attenuating metabolic syndrome. His current research interests are to translate some of the pre-clinical outcomes to clinical benefits. He is focusing on identifying health benefits of anthocyanin-containing foods, macroalgae and microalgae and to characterise the differences between the effects of short-chain and long-chain saturated fatty acids. Sunil is an Advance Queensland Fellow and is developing clinical nutrition expertise for his current and future research. 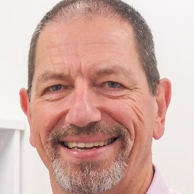 Stuart Biddle is Professor of Physical Activity and Health and leader of USQ PALs – Physically Active Lifestyles Research Group – in the Institute for Resilient Regions at the University of Southern Queensland, Australia. He was Professor at Victoria University, Melbourne, 2014-2017, and at Loughborough University in the UK until 2014. Stuart’s research is on sedentary behaviour and physical activity behaviour change, as well as mental health. He is Past-President of the International Society for Behavioral Nutrition and Physical Activity (ISBNPA). He has published extensively in psychology, public health, and behavioural medicine. He has been involved in the production of national physical activity and sedentary behaviour guidelines, and has been a consultant to Weight Watchers and Fitness First.